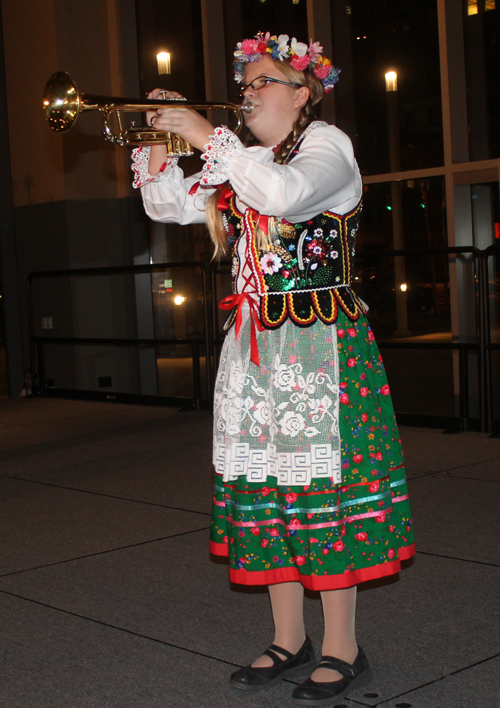 The 6th annual Holiday Celebration of Cleveland's Diversity was held in the atrium of the Global Center for Health Innovation in the Cleveland Convention Center on December 16, 2015. The event was put on by the International Community Council-Worldwide Intercultural Network (ICC-WIN) in conjunction with the office of Cleveland Mayor Frank Jackson. Main sponsors of the event were Margaret W. Wong & Associates, Global Cleveland, Cleveland Hopkins International Airport, Third Federal Foundation, UTC Aerospace Systems and Cleveland Council on World Affairs. 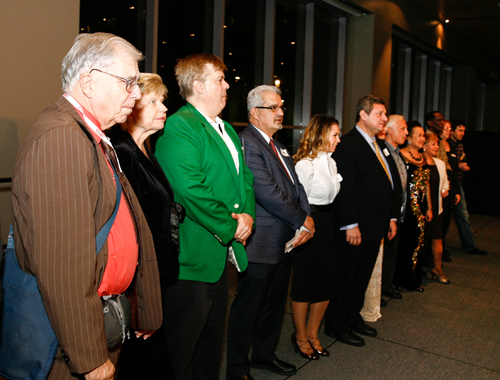 ICC-WIN's mission is to celebrate Cleveland�s multicultural communities through collaboration and cooperation on initiatives that promote the prosperity of the region and its diverse people. The evening began with networking and sampling international foods from 14 different restaurants. 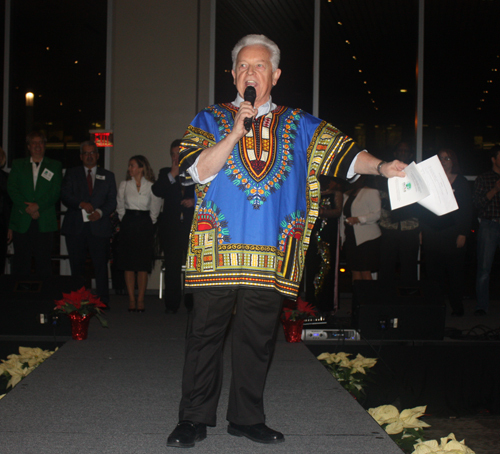 The formal program began as Ken Kovach, President of the International Community Council - Worldwide Intercultural Network (ICC-WIN), welcomed the crowd and spoke of the incredible diversity of Cleveland and Northeast Ohio. 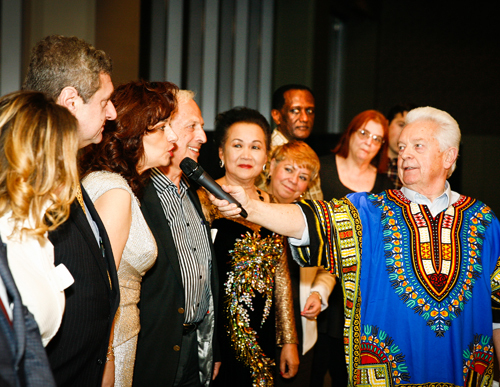 He called on the members of the Board of ICC-WIN to come onstage and introduce themselves. 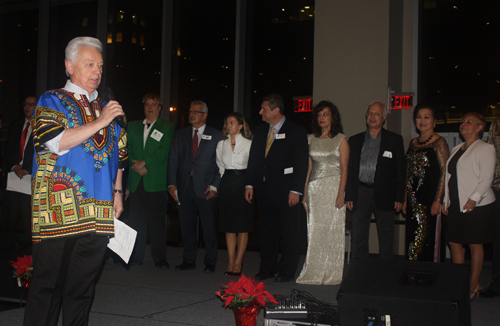 This included Harry Weller, David Delgado, Richard Eastburn, Joe Meissner, Dan Hanson, Ingrida Bublys, Pierre Bejjani, Murat Gurer, Nada Martinovic, Mehmet Gencer, Gia Hoa Ryan, Mari Galindo, Debbie Hanson, George Koussa, Anila Nicklos, and Aklilu Demassie. Then the entertainment began. 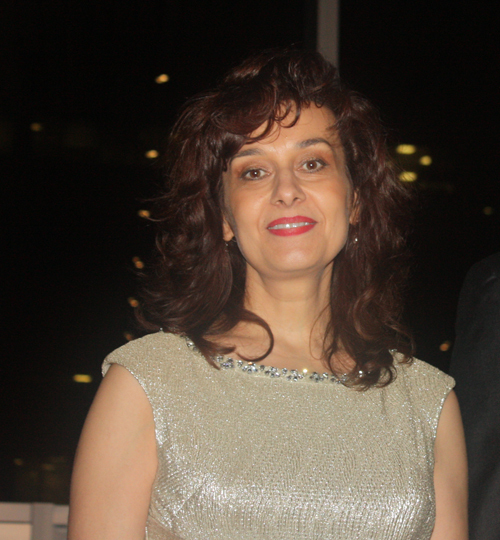 Nada Martinovic was the director of the entertainment for the event. 14 year old Olivia Gutowski began. 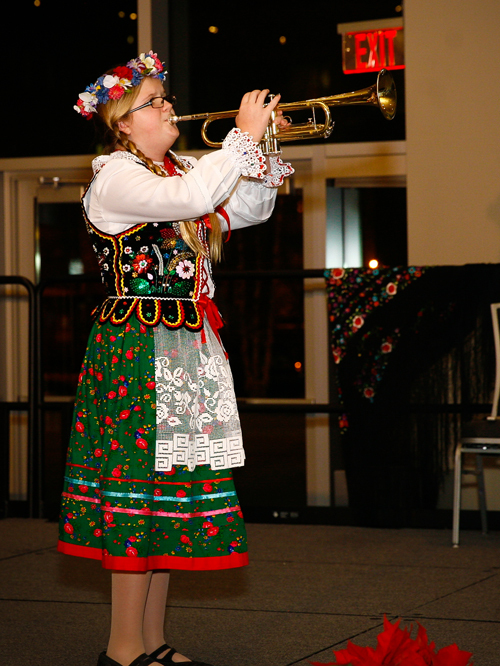 Dressed in a traditional Polish outfit, Olivia played the Hejnal on her trumpet. The Hejnal Mariacki is a traditional, five-note Polish anthem closely bound to the history and traditions of the capital, Krak�w. It is played every hour on the hour, four times in succession in each of the four cardinal directions, by a trumpeter on the highest tower of the city's Saint Mary's Church. Legend has it that a sentry on a tower of St Mary's Church sounded an alarm by playing the Hejnal but the trumpeter was shot in the throat and did not complete the anthem. That is why performances end abruptly before completion. 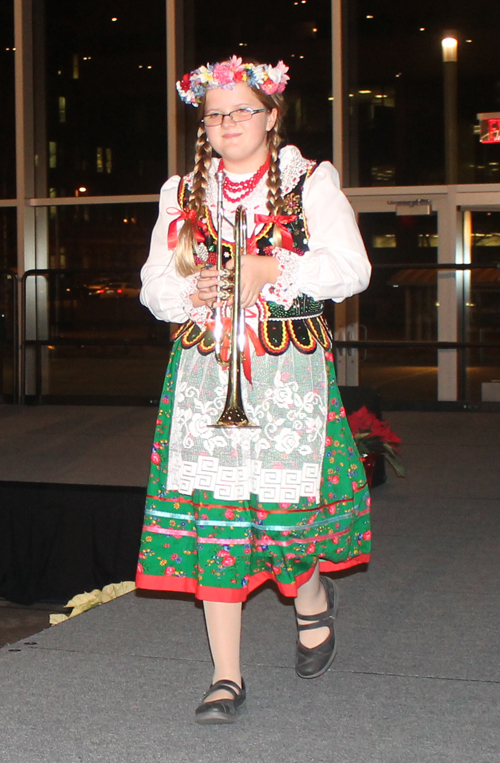 Olivia Gotowski then performed Silent Night on trumpet. Next, the North Olmsted High School A Cappella Group 'Special Edition' performed. North Olmsted High School's Special Edition and Coming Attractions are small, auditioned vocal ensembles that sing popular music in an unaccompanied style. Most of their repertoire contains Rock, Hip-Hop, R&B, Country and Jazz custom arrangements written by their director, Mr. Alex Phan, who is a published contemporary a cappella composer. These groups sing on microphones with limited choreography and the singers must be the highest order of vocal musicians. In addition to preparing seasonal concerts throughout the year, these groups record an annual, in-house studio album to act as a fundraiser for the NOHS Choral Department. 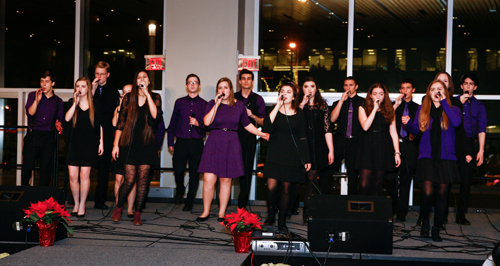 In previous years, Special Edition has been featured on the Best of High School A Cappella album created by Varsity Vocals, and has appeared at multiple Ohio Music Education Association Annual Conventions. Next were the Fairmount Spanish Dancers. 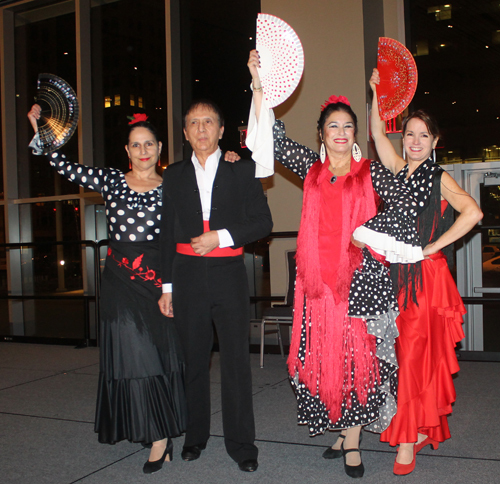 The Fairmount Spanish Dancers dance is based on classical, folk and flamenco style with emphasis on castaneting, heelwork, traditional movement and style. They are the only company in Ohio dedicated to performing the infinite variety of Spanish Dance. See more photos and videos from the Fairmount Spanish Dancers that evening. 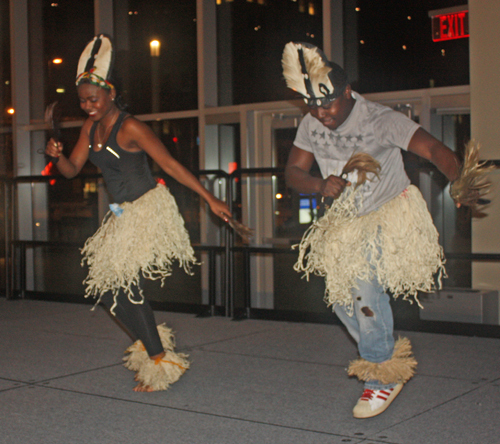 The Liberian Community Ensemble performed next. 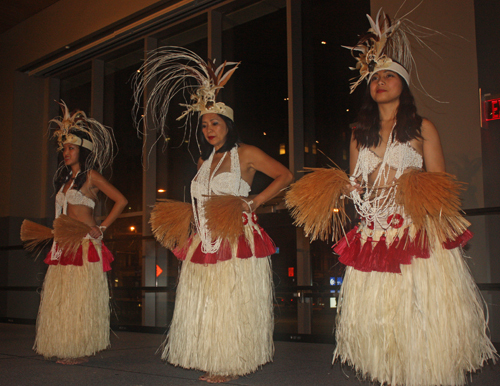 The closing performance was by the Hula Fusion Polynesian Dancers. This is a dance from Bora Bora with the ladies wearing grass skirts.